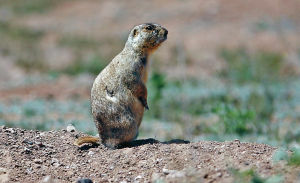 On farms and ranches across America, prairie dogs are target practice. In the city of Santa Fe, the furry little critters get bubble baths, leftover Big Macs and protection under an ordinance requiring their “humane relocation” if they live on property slated for commercial construction. Even the city government, which has a statue of its patron saint in front of City Hall making eye contact with a prairie dog, is loath to hurt the burrowing rodents. Since the ordinance passed in 2001, the city has incurred $559,000 in relocation costs, much to the chagrin of one city councilor.